Welcome back to all our members, associates and wider network. We’ve had a brilliant year so far working on new CPD opportunities for members, planning the Natspec National Conference in April 2019 and attending consultations and a parliamentary reception to raise the profile of issues relating to SEND in FE. Members of the network have also made exciting announcements and are getting involved in new projects and initiatives; including multiple award nominations, updated student success stories, and physical activity initiatives. National Star, a specialist college for young people with complex disabilities and learning difficulties, has been shortlisted for three national awards. 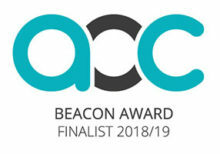 In addition to being shortlisted for the specialist provider of the year for the TES FE awards 2019, they are a finalist in two other categories for AoC Beacon Awards: British Council International Award and RCU Support for Learners Award. The winners will be announced at the ceremony in London on March 22. “To make the finals of three categories in the most prestigious education awards in this country is a tribute to our multi-disciplinary team and their incredible work,” said David Ellis, Chief Executive of National Star. National Star last year supported 647 people with disabilities. It shared its expertise with more than 2,800 professionals and people in the sector. 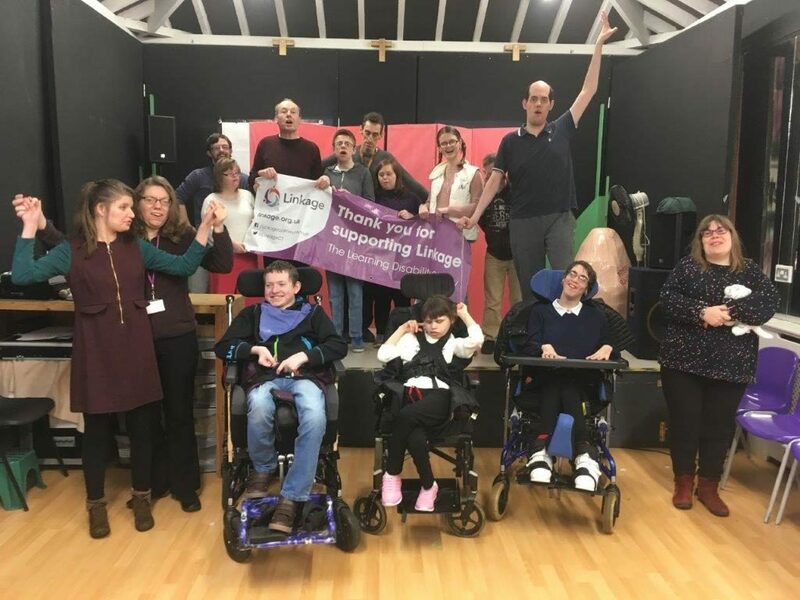 Linkage Community Trust, a local learning disability charity, has been chosen by the public to become Lincoln City Football Club’s Charity of the Year for 2019. The partnership with Lincoln City FC will help Linkage further its work in ensuring that people with learning disabilities receive the support they need to achieve their aspirations. As Lincoln City Charity Club Partners, Linkage will receive priority for fundraising support and profile awareness. The Club will also assist the charity with fundraising activities, including match day bucket collections. We’ve updated our students at work series highlighting the accomplishments of young people with SEND excelling in their work experience and achieving full and part-time employment opportunities. Read student stories here. 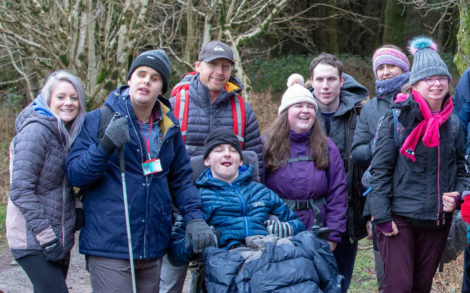 Nine visually-impaired students from WESC Foundation’s college in Exeter, Devon, have begun their training sessions for the annual Ten Tors outdoor challenge, which each year attracts teenagers from all over the south-west to the relative wilderness of Dartmoor. Taking part in the training alongside teachers and other support staff, many members of the WESC Foundation team will be hoping to complete their second or even third “Jubilee Challenge” later this year. 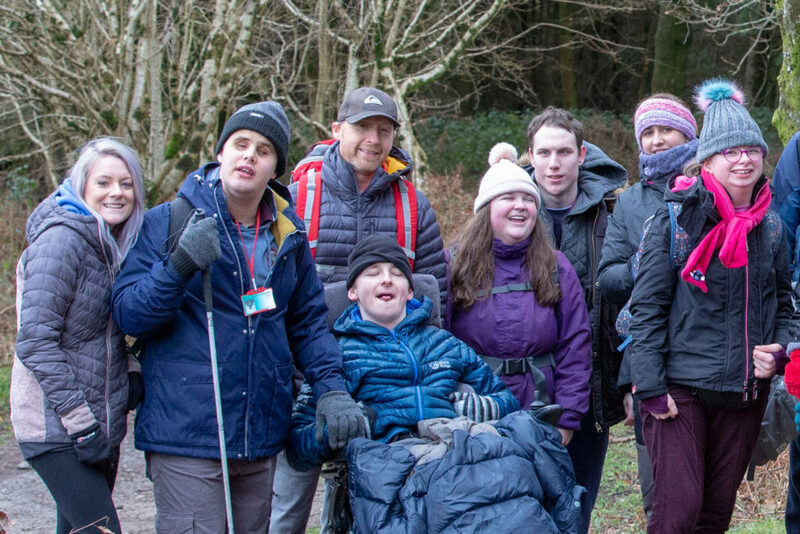 The event is aimed at young people with a range of challenging conditions including sensory impairment and physical disability, and participants aim to complete routes of up to 15 miles, with the terrain, distance and climate all conspiring against success. Ten Tors training is one of the highlights in a busy programme of enrichment, community engagement and work placements. Students have access to retail, horticultural, tourism and business opportunities delivered through a network of local businesses and WESC Foundation’s own social enterprise department. Organised by the Army’s Headquarters South West, Ten Tors brings together around 2,500 young people from schools and further education colleges across the region. 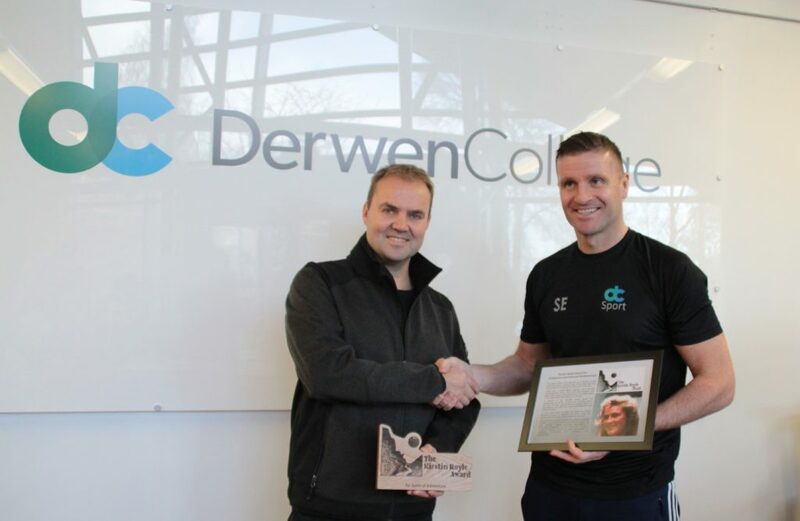 Derwen College, near Oswestry, has been given the honour of delivering an award – which will be presented every year by The Kirstin Royle Trust to one of Derwen’s students who has challenged themselves through the Duke of Edinburgh’s Award scheme. The Kirstin Royle Trust was set up in 1993 in memory of Kirstin who died aged 22. The trust began with the aim of providing opportunities for young people to participate in challenging activities that give them a real sense of adventure. Kirstin was a kind and compassionate teacher who loved the outdoors, so it seemed natural that the trust provided opportunities for young people to participate in activities that would otherwise be very difficult for them. The trust has also made a contribution to the Raymond Priestley Centre in Coniston where Derwen College students spend time as part of their Duke of Edinburgh’s Awards. Derwen College, in Gobowen, is a specialist college for young adults with learning difficulties and disabilities. The college offers students the opportunity to learn new skills in real work environments and to learn life skills which will enable them to live as independently as possible. Last year, 60 learners from the college completed their D of E awards at Bronze, Silver or Gold levels. Take advantage of a free event aimed at young people with SEND who are 25 and under on Thursday 21 March, 9.30am – 4.30pm. This event is also open to parents, carers, guardians and professionals who work closely with young people with SEND. 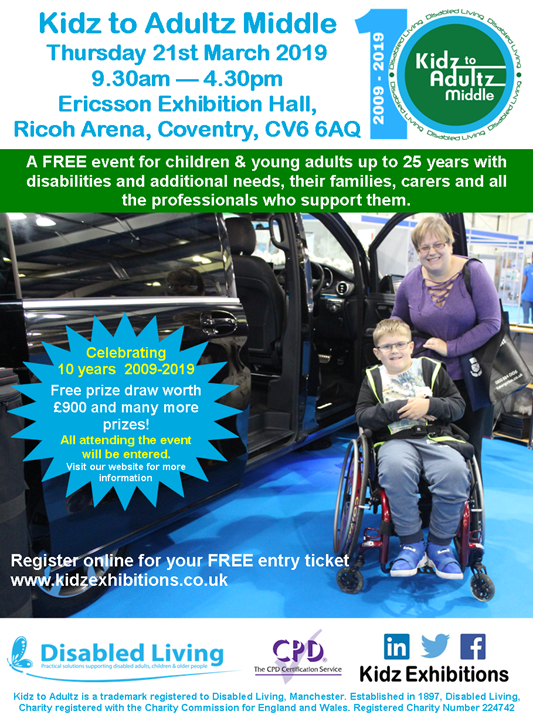 With 120+ exhibitors attending, there’ll be plenty of information, advice and guidance available for visitors to benefit from. Learn more and book your place. Read more on the latest from our member colleges and their community partnerships by viewing our latest Natspec News: January 2019 edition. The newsletter covers great stories and examples of specialist FE colleges working with organisations in their communities to raise awareness about important topics or provide employment opportunities to young people with SEND. Interested in the latest CPD opportunities from Natspec? Our latest Natspec Transform: Training and Events newsletter lists our upcoming workshops, networks and conferences. The national conference for SEND professionals working in post-16 education is taking place on 2 and 3 April 2019. The conference will be packed with useful information on best practice, insights and experiences on the different aspects of working with young people with SEND. In addition to the workshops, keynotes and hot topics that are taking place on issues ranging from managing local authority relationships, assistive technology to learner’s voice and more – you’ll also have the opportunity to network with like-minded colleagues and engage in discussions about your shared experiences. Learn more about the event and book your place.